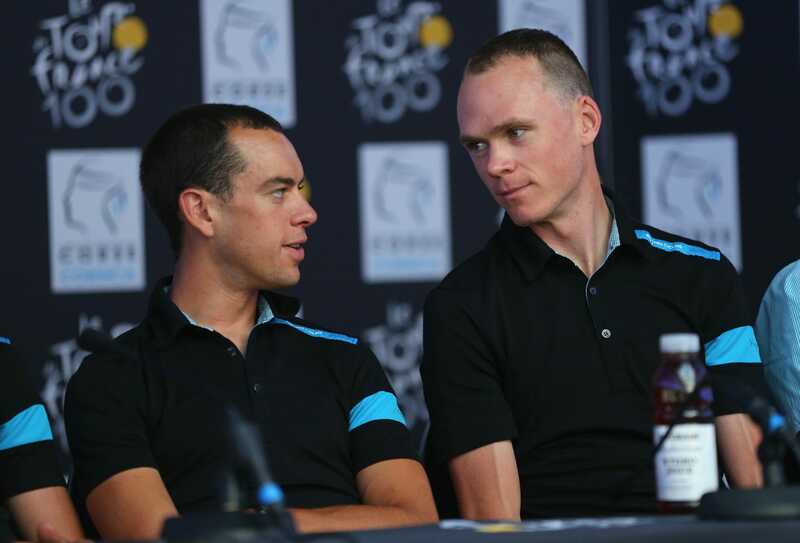 Bryn Lennon/Getty ImagesRichie Porte and Chris Froome were once the closest of teammates; now they’re chief rivals. DÜSSELDORF, Germany — With the 104th Tour de France now underway, people are wondering: Who can beat Chris Froome? The Team Sky leader has won three of the past four Tours, and he may well have won all four had it not been for a crash that took him out of the 2014 edition. In each victory Froome has looked untouchable, his principal antagonist last year coming in the form of a motorbike. He looked so strong he seemed bored, at one point taunting his rivals with a fake attack. But this year’s race could go very differently for Kenyan-born Briton. One reason is Richie Porte, the quiet Tasmanian and ex-triathlete who rides for the US-registered BMC Racing Team. Like Froome, Porte is a climbing and time-trial specialist. 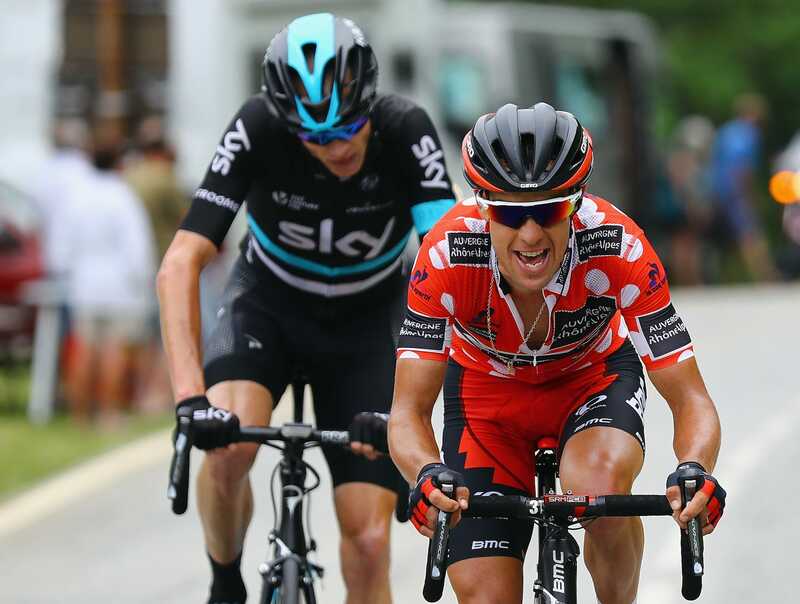 The two raced together on Sky from 2012 to 2015, with Porte riding successfully in support of Froome. Porte left Sky for BMC at the end of 2015, and now as BMC’s leader he’s targeting the top step of the Tour podium in Paris. Porte’s status as second favourite and chief rival to Froome has become one of the most talked-about storylines going into this year’s Tour. Porte has finished in the top 20 in grand tours only twice ever — seventh at the Giro d’Italia way back in 2010 and fifth at last year’s Tour. And yet over the years he has won big one-week races — Paris-Nice twice and the Volta a Catalunya. And it’s worth noting that Porte could have finished on the podium in last year’s Tour if not for a badly timed puncture that saw him lose nearly two minutes in the general classification. So far this year Porte is enjoying one of the best seasons of his career, claiming the Tour Down Under and the Tour of Romandie. He also finished runner-up at a critical Tour tune-up race, June’s Critérium de Dauphiné, where he was the strongest rider. But a tactical error cost him the overall win and, perhaps more important, again revealed cracks in his BMC team when it came to supporting its leader in the mountains. Froome, meanwhile, has zero wins this season. And while many still say Froome is the top pick, his form entering the Tour was uncertain. On the plus side, he has, by far, the strongest team in the three-week race, stacked with quality climbers and other support riders, whereas Porte’s BMC team for this Tour is a head-scratcher. The BMC squad has few climbers to support Porte once the decisive mountain stage come and brought a big-name stage hunter in Olympic champion Greg van Avermaet. Froome came out swinging, putting physical and psychological distance between himself and his rivals from the get-go. “I’d done a lot of time-trial training over the last few weeks since the Dauphiné. It wasn’t lucky that I did a good time-trial,” Froome said. Can Porte really beat Froome? Bryn Lennon/Getty ImagesAt the 2016 Critérium du Dauphiné. But the race has only started, and in cycling they say the real Tour doesn’t start until the mountains. We’ll get a much better idea of both riders’ form on stage five, on the roads to La Planche des Belles Filles with its summit finish. We’ll also get to see who, if anyone, is going to attack their way into the leader’s yellow jersey. In an interview with Reuters’ Julien Pretot, Froome previously pointed to Porte as his chief rival. And though this week Froome reiterated that Porte was still his top challenger, he added that his own form was coming around finally and that he was coming into the race very fresh, and he showed that Saturday. “I feel as if I’m exactly where I need to be,” Froome said, according to AFP. “The Dauphine was just what I needed to get that extra race rhythm — I had been very light on race days up to the Dauphine, which means I’m coming into the Tour fresher than I’ve ever been before. That doesn’t sound good for others with dreams of yellow. Meanwhile, Porte told the Australian cycling website Ride that in May he climbed 54,000 meters or 177,000 feet in one three-week training bloc. Part of that program took place in the French Alps with Tour-bound teammates. Porte and Froome skipped May’s Giro d’Italia, and to their advantage they will have fresher legs in July, in theory. Froome and Porte are both 32 years old and in their prime. Froome’s British Sky team has the biggest budget in cycling, $US40 million, and Froome is one of the highest-paid riders, earning $US5 million annually. The US-registered BMC team is understood to have a budget of about $US31 million and Porte probably makes over $US2 million. Both riders just re-upped their contracts with their teams for the coming years, so expect this rivalry to continue. As the Tour leaves Germany on Sunday for Belgium, and the Tour really starts moving, Porte has much to gain and Froome a lot to lose.